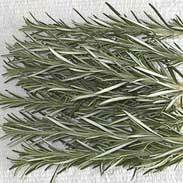 Rosemary has a tremendous variety of folk uses and mythology associated with it and a number of snippets from folk lore have been included on this page. 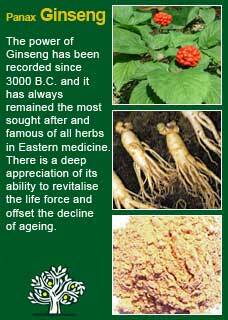 It has particularly been strongly connected to memory and remembrance since ancient times. The main historical medicinal uses of Rosemary have been as a tonic to the brain and as a gently cleansing liver medicine. Rudolph Weiss says 'Rosemary has a general tonic effect on the circulation and nervous system, especially the vascular nerves; it is therefore effective in treating all chronic circulatory debilities, including hypotension (low blood pressure). 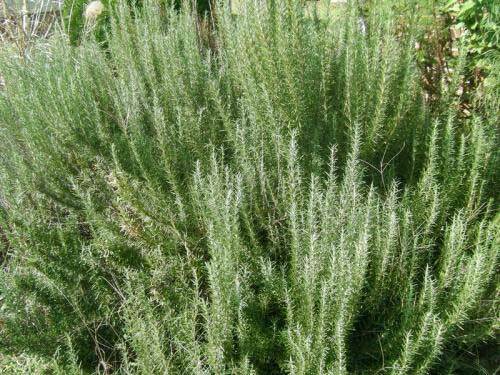 It is particularly effective in asthenic young adults who are pale and lack physical stamina...' Rosemary can be used for treatment of general and post-infectious debility in older patients'. The British Herbal Pharmacopoeia (BHP) describes Rosemary's actions as carminative, spasmolytic, thymoleptic (mood-modifying) sedative, diuretic, antimicrobial. Topically: rubefacient, mild analgesic & parasiticide and says it is indicated for dyspepsia associated with psychogenic tension, headaches either migrainous or hypertensive and topically for myalgia, sciatica, intercostal neuralgia and specifically indicated for depressive states with general debility and indications of cardiovascular weakness. 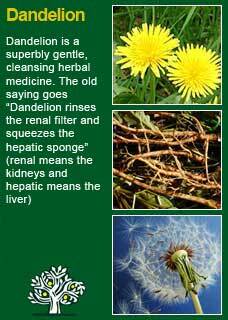 The BHP suggests a dose of 2-4 gms or by infusion and recommends a tincture dose of 2-4mls up to 3 times a day. 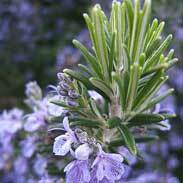 ~ Rosemary was an essential part of the apothecary's repertoire during the Renaissance. 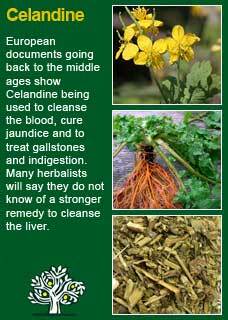 The French regarding it as a cure-all, Hippocrates, Galen, and Dioscorides all prescribed rosemary for liver problems. ~ In the middle ages if a young person tapped another with a sprig of Rosemary in blossom then the couple would supposedly fall in love. ~ Placed under the pillow Rosemary was believed to repel bad dreams, planted around the house it was believed to ward of witches. ~ Rosemary, native of southern Europe, was brought to America by the first colonists, and stored carefully indoors during the cold winters. ~ When Queen Elizabeth of Hungary was paralysed in 1235 and none of the court physicians were able to help her a local hermit of some healing fame cured her by rubbing Rosemary liniment on her limbs. One can only imagine whether he was asked to take a bath before he begun his massage. 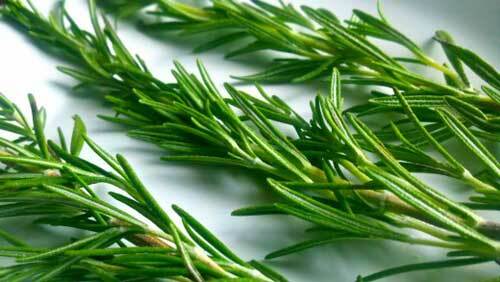 According to legend his medicine had been made by soaking a pound of Rosemary in a gallon of wine. This recipe became the basis for a Rosemary/Wine combination that became known as Queen of Hungary's Water and was very popular for centuries as a treatment for all manner of problems of the skin and joints. ~ According to legend the Rosemary bush was considered a sacred symbol of Christ and that it might grow in height up to the age of 33 years but then would never grow taller, only wider. ~ In some historical notes on Rosemary we come across the notion that 'Rosemary will not grow well unless where the mistress is master, and so touchy are some of the lords of creation on this point that we have more than once had reason to suspect them of privately injuring a growing Rosemary in order to destroy this evidence of their want of authority' (M. Grieve). 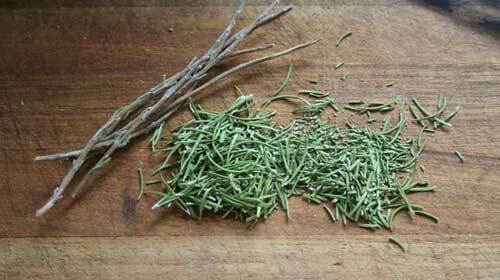 ~ Rosemary had such a reputation for strengthening the memory that it became the emblem of fidelity for lovers, used at weddings, but also at funerals, for decking churches and banquet halls at festivals and as incense in religious ceremonies and in magical spells. Rosemary has gained a reputation as being unsafe to take in pregnancy but in fact there is no evidence that it will cause harm to the baby or mother and in fact when very large amounts have been given to pregnant rodents in tests it has not caused any harm. Rosemary is safe to take whilst breastfeeding and may in fact benefit the baby as the oils will pass through the milk and can be nice and calming to the gut. It is recommended not to take strong medicinal teas or extracts of Rosemary at the same time as taking iron supplements as studies have shown that it does significantly decrease the absorption of iron (only if taken simultaneously). Some recipes are included below that demonstrate how high doses of Rosemary, by itself, can be used to bring about a specific therapeutic response. 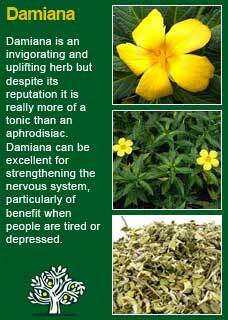 It is a dynmaic, kind of 'get things done' herb that way. Further to this, it can also be seen that Rosemary has an intense and penetrating potency that, when wishing to use it as an internal medicine, can bring the lesson that 'less is more!' 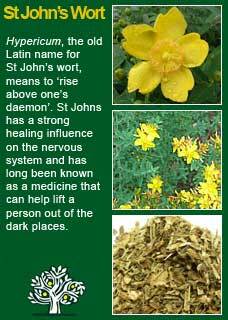 I have personally found that small amounts work just as well as large doses and are much more likely to be well tolerated, especially when there is a need to use the herb for a while. 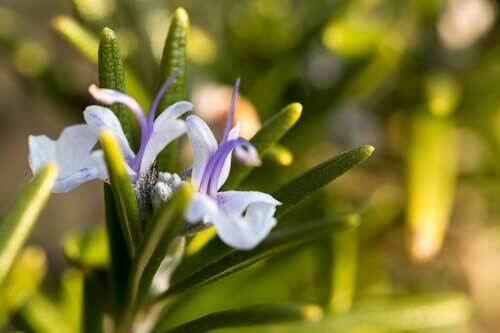 Rosemary works very well in combination with other herbs when you want to give it internally. To give some range and scale for the kind of 'less is more' dosage I am talking about, in practice this means I will typically use only about 10 mls in a 200ml formula, maybe 20 mls at the most. At a dose of 5mls, twice a day, this would equate to a dose of Rosemary of between 10 drops (if there was 10ml in 200mls) or up to 20 drops a day (if the formula contained 20mls or Rosemary in a 200ml formula). This would honestly be ample for most people to receive its benefits. 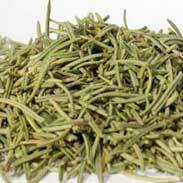 Rosemary has formidable 'activating' properties and small frequent doses can see things rapidly improve when it is the right herb for the right person. For example, someone who has the classic combination of stuffy head symptoms (which they might describe having brain fog, or a poor memory) a thick and coated tongue, a languid full pulse and signs of poor circulation. ...or a headache or a migraine, the historical recommendations to use Rosemary where there is poor circulation to the head make a lot of sense when you get into feeling the 'action' of the herb and, if you who are reading this are studying herbal medicine or would just like to know this old plant ally at a much deeper level for your own reasons then I warmly encourage you to take a small dose of Rosemary tincture, just a few drops, or a tsp of its dried leaves in a cup of tea, or even just take a small sprig and hold it in your mouth for a minute and then, with a quiet and attentive mind, observe for yourself how this herb makes you feel. 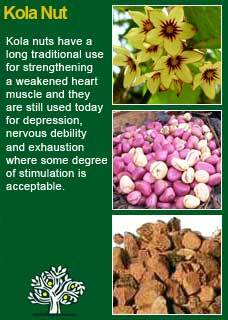 This old way of 'experiential learning' can be the best way to appreciate the 'action' of the plant and I think you will soon feel for yourself that it is something of a 'mover and shaker' of a herb. Having done this experiment numerous times on myself, as well as occasionally with colleagues and students, it is quite uncanny how people will feel the herb strongly in their head or their gut but rarely both. It seems to go to where it needs to. Making a closer acquaintance with it in this way will at least likely help you know when you might want to use it for yourself. 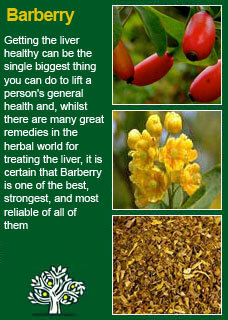 There are some classic methods to use Rosemary by itself described next, but note that it combines extremely well with other brain stimulating herbs such as Panax Ginseng, Kola nut, Damiana, Bacopa and St John's wort, or with herbs such as Dandelion root, Barberry, Celandine and Golden Seal for activating and cleansing the liver. Rosemary hair-oil has been highly rated to improve the health of the scalp and to aid with preventing hair-loss and supporting hair-growth, especially in people with naturally dark hair. The recipe is quite simple and only requires plenty of fresh Rosemary and pure, first-press Olive oil. Take a glass jar, fill it nearly to the top with fresh Rosemary that has been cut up fine on a chopping board, then fill the jar to above the herb with the Olive oil. You will need to use a knitting needle, or a chopstick, or the handle of a wooden spoon to mix the herb into the oil and to allow any air-bubbles to escape. Leave a few minutes before sealing the jar and be aware that, wherever you put it to sit, that some oil may continue to mysteriously leak out of the jar. It will take a week in a warm, dark place to extract the Rosemary, maybe two weeks in a cooler place, but keep it from direct sunlight in any case. When it has steeped for long enough, strain it out through muslin cloth or similar into another jar or bottle. Rubbing a tsp or so of the oil into the hair once or twice a week is the usual dosage. The treatment may need to be maintained for many weeks to see a significant result. 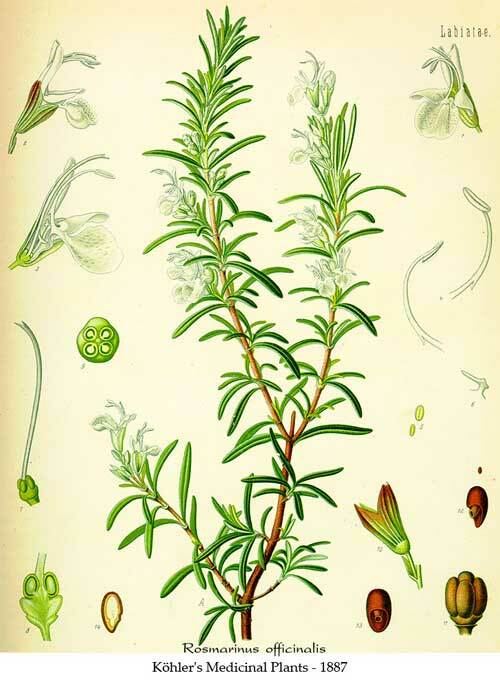 Rosemary baths have been very popular in European medicine amongst working people as they are thought to be highly effective for exhaustion and lack of strength. The practice is to take the bath in the mornings on the weekends. There is no reason not to do it in the evening other than that the Rosemary may be too stimulating for some people to take in before bed. A lot of Rosemary is used for the bath and you would have to predict a potent affect from the amount of essential oils that would be absorbed into the skin through this method. Take 50 grams of dried Rosemary; soak in 1 litre of freshly boiled water in a well-covered container for a good 30 minutes. Strain and add to a hot bath which is then soaked in for at least 10 minutes. Even though this it is traditionally done in the morning, it will be wise to rest for at least half an hour after taking the bath. For stiff or aching muscles and/or the sore joints of arthritis or rheumatism, Rosemary liniments have been popular and widely used. The method of preparation is quite simple. Take approximately half a litre, i.e. 500mls, of either 'rubbing alcohol' or if this is not available, any Vodka will do, place in a sealed jar with approximately 50grams of dried Rosemary and steep for one week, shaking the mixture for a few moments each day to remix the contents. After a week, strain the Rosemary liniment out through a muslin cloth or similar into another jar or bottle and rub a small amount into the affected areas as often as needed. 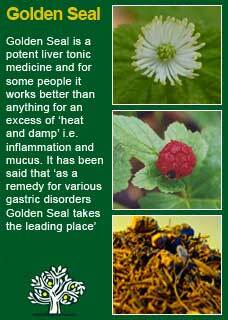 To treat infections in the mouth or to cure bad breath the following treatment may be effective. Take 3 heaped tsps on dried Rosemary and soak in 400mls of freshly boiled water for 15 minutes in a cup or container that is well covered. Strain the Rosemary tea and keep in the fridge in a covered container for up to 3 days before discarding and making a fresh batch. Simply take a mouthful of this tea 2-3 times daily, swill and lightly gargle before spitting out. Much of the information here about the traditional uses of Rosemary is consistent with the model of thinking whereby one may treat problem A with plant B. There is value in this approach, especially in how it helps us pass on useful knowledge to one another, but it falls short in one vital area; and that is that people are not all cut from the same cloth! Something that works brilliantly for one person may do less for another -- why is this?